Skilled workers and business people who wish to migrate to Australia can get their skills assessed by SkillSelect, an online service. SkillSelect records the details of applicants who want to be considered for a Skilled Visa by submitting an EOI (Expression of Interest). State & territory governments or Australian employers can then find the intending migrants and nominate them for skilled visas. To apply for general skilled migration visas, SkillSelect conducts rounds of invitations on the 1st and 3rd Mondays of each month. 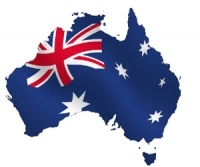 The 2 rounds in December 2013 will amount to a maximum of 1985 invitations for clients who have submitted an EOI for the Skilled Regional (Provisional) or Skilled Independent visa subclasses. Effective 16th Dec, 2013 invitation round, due to the huge number of applications, a limit of 35 invitations for Skilled Regional (Provisional) (Sponsored) visas (subclass 489) will be levied. However, please note that this limit will not affect territory or state government nominations for Skilled Regional (Provisional) (State or territory nominated) visas (subclass 489) and nominations for these visas can continue.